Retail market strong. 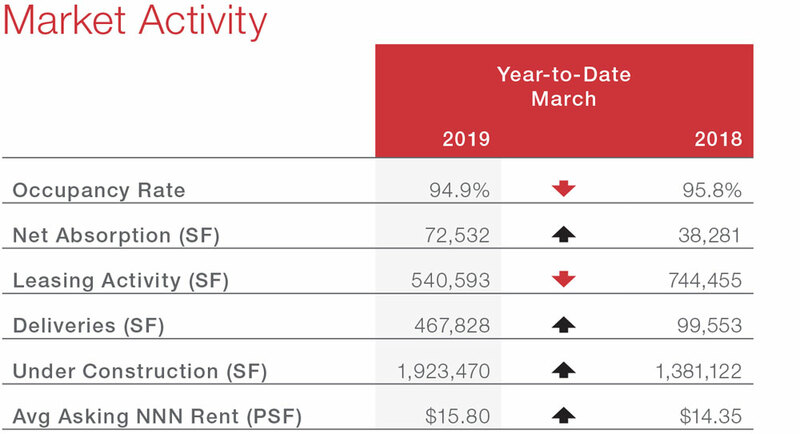 San Antonio has maintained an occupancy rate in the retail sector at or above 94.0% for five years, registering at 94.9% nearing the end of Q1 2019. Tenancy of the 468,000 sq. ft. delivered to the market year-to-date stands at 94.6%, and of the 1.9 million sq. ft. currently under construction, 51.2% of that space is available for lease. Year-to-date net absorption is reflecting more move-ins than last year at this time, while there has been 541,000 sq. ft. of leasing activity. 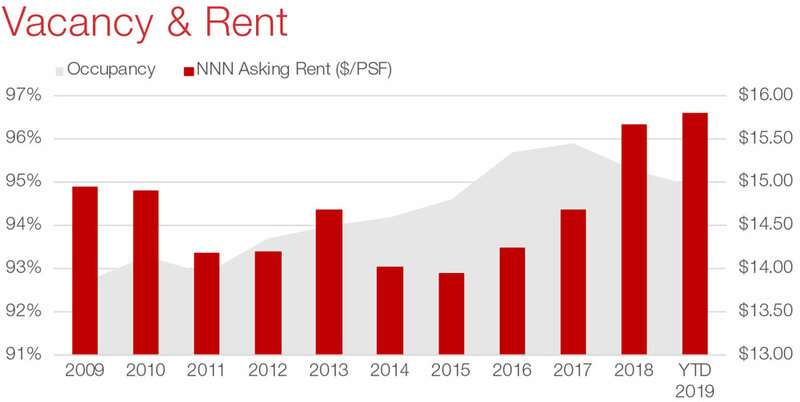 The ever-increasing average asking rate of renting retail space is $15.80 per sq. ft. on a triple net basis, up 10.1% from this time last year at $14.35 per sq. ft.
H-E-B Crossing changes hands. Rainer Realty Investments LP and an affiliate of Continuum Investments LLC has acquired H-E-B Crossing. The 150,582-sq.-ft. retail power center is located at the intersection of Bandera Rd. and E. Charles William Anderson Loop. The center was 100% leased at the time of the sale, anchored by Conn’s HomePlus and Academy Sports + Outdoors and shadow anchored by a 182,000-sq.-ft. H-E-B grocery store. The list of other tenants included Starbucks, Chase Bank, and H&R Block. San Antonio remained healthy in 2018. The unemployment rate increased slightly to 3.4% in December, up from 3.2% in October. Though some sectors were weak due to the tight jobs market, overall job growth in San Antonio in 2019 should be similar to the state as a whole, somewhere between 1 and 2%, reported the Dallas Fed. Low unemployment can be problematic when it comes to economic development in some of the city’s industries, especially tech and manufacturing, when there aren’t enough qualified workers for the number of job openings that exist. Capitalizing on population growth and developing the local workforce will be in focus during 2019.